2012 is long gone and cryptocurrency mining now requires GPU rigs and/or ASIC’s to be profitable. There was a time when Bitcoin could be mined using a PC, but now it is impossible to mine BTC without investing at least $ 1100 USD into the Antminer S4. Same happens with any other profitable altcoin as well. The only two exceptions to the rule are the Storjcoin and the Verium. Storjcoin can be mined by renting free HDD space as explained here, while Verium is an altcoin that was designed to be mined by PC CPU’s only. Verium isn’t a new altcoin. It is almost three years old; however, it had its share of crises, modifications and improvements. As for today, Verium endured the test of time; it came to a point where all the major issues were fixed and I believe that now is the right time to revisit this altcoin and start profiting from it. Verium is not a cryptocurrency per se – it is not meant to be used in day to day transactions. According to its developers, Verium it is a digital reserve. It can be compared to real life gold – it does have a lot of financial value, but we don’t really use it in day to day transactions. So What Does It Do, Exactly? Verium was made to be a complement for an already existing coin, the VeriCoin. VeriCoin started as any other altcoin. Just like most altcoins, it would eventually die one day if it wouldn’t be for Verium. You see, developers always struggle to find the balance between mining speed, safety and transaction speed for their cryptocurrencies. Other factors like volatility and decentralization play an important role too. While some cryptocoins have been settled on some optimal middle ground, it is still impossible to combine all of the good features in one single coin. In order to solve this issue, the developers of VeriCoin created Verium – a digital commodity designed to add value to a certain cryptocoin rather than being a cryptocoin on its own. This is really innovative in the world of cryptocurrencies, but the innovation does not stop there – as a miner, you will be mining the commodity (the gold), rather than the currency. This adds a whole new layer of possibilities and benefits for those mining and using VeriCoin, and it makes this duo (VeriCoin and Verium) more stable, decentralized and secure than Bitcoin. The last benefit is worth a closer look. It is a game changer – it enhances cooperation and lowers competition in the market. The Verium algorithm is designed on a way that it cannot be mined using anything else than CPU’s. Verium developers spent more than three years working on a set of algorithms that would prevent brute mining power from taking on the global hashrate. Long story short – if you decide to mine Verium you can rest assured that the mining pools won’t be plagued by huge ASIC miner farms owned by big companies. This makes Verium the most miner-friendly modern coin. It is also a great coin for beginners. You don’t really have to have any previous mining experience to be able to mine this coin. All you have to do is to complete a couple of steps and you’re set. This process is so ridiculously easy that it’s almost a crime to not try it out 🙂 If you don’t believe me, here are the steps on how to start mine Verium right now. Step 3 Launch the wallet. It will take a while to initialize. Once there, it will ask you to create a password. Make sure you write it down somewhere because there is no way to recover it if lost! Step 4. Once done, you will have to wait about a minute again for the walled to be loaded. It will also ask you to insert the password you just created to unlock your wallet. Step 5. After you enter the password, the miner screen will pop-up. All you have to do now is to (a) assign a certain amount of CPU cores to the miner and (b) click on the big fancy button to start mining. Now you can relax and watch your wallet fill up with VRM. Optionally, you can convert Verium to VeriCoin using the same app – simply click on the “Send” tab. Now, you might notice that it takes time for VRM tokens to appear in your wallet. This only happens when you do solo mining – it takes time to find and mine a block. Once done, the reward is quite big. The other alternative is pool mining. It usually gives you almost immediate results; however the overall income might be slightly lower than with solo mining since pools apply some transaction fees. It’s up to you to decide whether you should focus on Solo mining or Pool mining. If you are okay with having your VRM balance on zero for some days and then get a big chunk of tokens, then Solo mining is for you. Otherwise, you might try Pool mining just to see that the system works and that you start to get VRM almost straight away. According to this post [https://steemit.com/verium/@birty/cpu-mining-is-back-a-complete-how-to-guide-and-profit-analysis-for-verium-mining-on-a-farm-of-single-board-computers-part-1], it is also possible to assemble a specialized CPU mining rig using ODROID XU4 or Raspberry Pi 3 controllers. According to the post author this setup is cheaper than assembling a PC from zero. The two downsides are however that (a) a PC has less power consumption than any of the two mentioned options and (b) you probably have a PC already and the whole idea behind this coin is to be able to mine it with the hardware you already have. The guide on how to assemble your own Verium mining rig using Odroid XU4 controllers is there, though. It’s up to you whether you want to get serious about it and try to make your own rig. 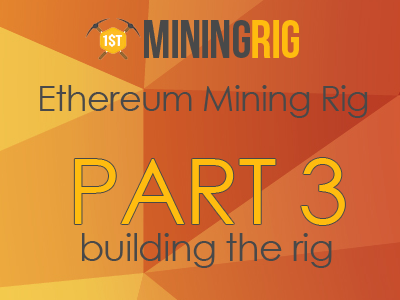 While the hashrate might get higher, the ROI of this kind of rigs will still be between 20 and 28 months (according to user reviews). So it might be a better idea to just use your existing PC to mine Verium in the spare time (say, at night or while you are at work). You can also assign three or four of your cores to the mining process if you do not require the full power of your PC – for instance, if you use it to run MS Office and so on. I’ve been researching about this new altcoin for a while now. There is a lot of information about Verium on the web, however most of it is either outdated or extremely biased. From what I know so far, it is probably not worth mining VRM for the ROI. While the expected difficulty increase won’t be as steep as in Bitcoin, it still might be not a good idea to assemble a mining rig with a ROI of 20-28 months. DASH and Monero miners have way better ROI, so you might want to check those out if you’re interested in faster return on investment. Note: According to the developers, new Verium miner software will be released soon. The hashrate of that miner is expected to be 60% more than the one we have now. There you can talk to the developers directly and keep updated about the latest news. Is Exscudo the most Promising Cryptocurrency Solution?